Winter was sooo cold this year and I am so ready for spring! I can just smell it in the air. It was 70 degrees here today, so I had all of the windows of the house open. The warm weather inspired me to pull out some of my spring décor today. 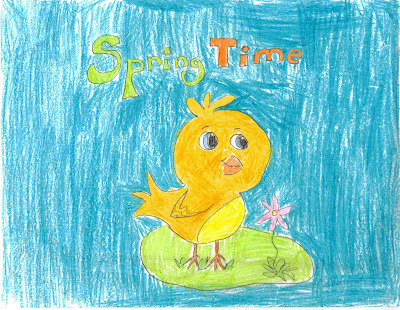 While digging through all of my spring time pretties, I found this cute illustration that my daughter did last year. The colors are so vibrant and refreshing. I thought I would share it with you to lighten your day!